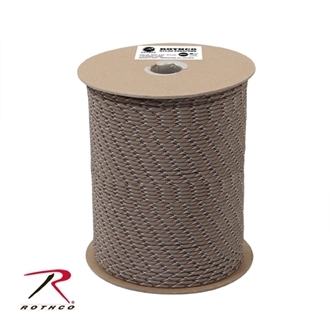 Rothco's Desert Camo Nylon Paracord is made by a certified U.S. Government contractor. The cord is 550 pound tested, has a 7 strand core and is made from 100% Nylon with a diameter of 5/32 Inches. This Nylon Paracord is made In USA and is GSA compliant. Rothco's Safety Green Nylon Paracord is made by a certified U.S. Government contractor. 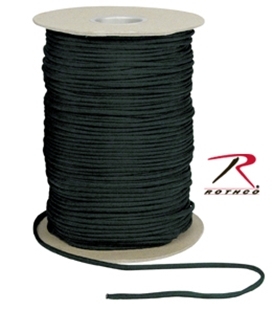 The cord is 550 pound tested, has a 7 strand core and is made from 100% Nylon with a diameter of 5/32 Inches. 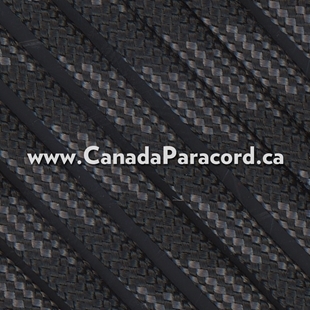 This Nylon Paracord is made In USA and is GSA compliant. R&W Rope's 100 feet of Touch of Grey 550 paracord is a commercial version of Type III military spec parachute cord. Made in the USA, it contains 7 strands in the core. This cord has a tensile strength of 550 lbs.